The nation has spoken and the UK is now moving into uncharted waters, as it becomes the first existing member of the European Union to vote to leave the bloc. 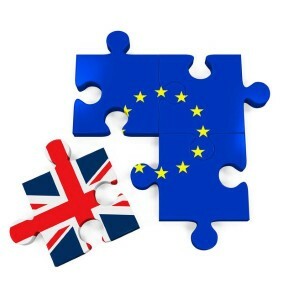 It is a momentous and potentially uncertain time for the people of the UK and, following last week's surprise referendum result, many business and fleet operators may be wondering what the future holds for them. Already the value of sterling has fallen against many major currencies around the world, leading to price rises at the pumps and a growing likelihood that costs will continue to grow for both petrol and diesel in the UK for the foreseeable future. Furthermore, with a weaker pound, the costs for businesses bringing in goods from overseas has already grown, with the UK's import and export providers likely to face some concerns in the months to come. At the same time, an emergency Budget is now a likely prospect for the coming months and the chancellor George Osborne has already stated that taxes will almost certainly need to be increased as a result of the decision to leave. This could therefore lead to a rise in fuel duty and further costs for UK fleet operators. Looking forward, a move towards Brexit has already created significant instability in the UK economy, but as the picture becomes clearer in the days and weeks ahead, it is hoped the government can bring the nation together once more and help to create a positive atmosphere in which businesses can continue to flourish.